What do you want and when do you want it? Think about whether you want to obtain a divorce now, in which case your marriage will be legally dissolved, or whether instead you want to separate with a view to deciding on a divorce at a later date. 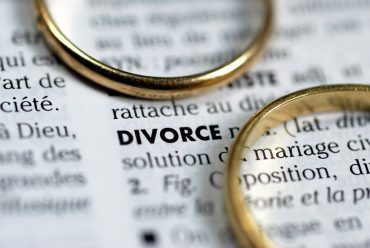 Either way, the related financial and children arrangements can still be sorted out and you should speak to a solicitor specialising in family law about the different options available, including entering into a Separation Agreement with your spouse to deal with these matters if the divorce is going to be postponed. If the financial arrangements are not agreed, then it may be necessary to get divorce proceedings under way in order to have access to the Court’s powers to resolve financial and property issues. If you decide that you want a divorce, you should also consider how long it is likely to take bearing in mind the legal procedure, the cooperation of the other party and the current Family Court processing times. In our experience, an agreed divorce will usually take around 6 months to conclude, but in some cases it can take longer. We would also normally recommend not concluding the divorce until such time as the financial arrangements have been resolved, which may effect the overall timescale. A contested divorce, while unusual, will take much longer and potentially cost a lot more than an undefended divorce. Have you been married for at least one year? If you decide that you want a divorce, then you will need to apply to the Family Court to obtain this. The application is made by completing a court form known as a Divorce Petition, which attracts a court fee (currently £550) unless you qualify for a fee exemption or reduction. Before the Family Court allows you to apply for a divorce, you must have been married for at least one year. If you have been married for less than a year, you should seek legal advice about the other options available to you to formalise your separation. A divorce can only be applied for by one party, not jointly. One of you will need to start the process by completing the Divorce Petition form. That person will be referred to as the Petitioner. The other party will need to respond to the Petition and they will be referred to as the Respondent. Although you cannot apply jointly for a divorce, you can still both agree for there to be a divorce. In the majority of cases we recommend that before you start divorce proceedings you should speak to or contact your spouse to let them know that you wish to divorce and to seek their agreement. Of course, there are exceptions to this and we will discuss this with you, if necessary. Notifying the other party should help to ensure that the divorce is not disputed and will also allow your spouse to have an input in what is included in the Petition, if necessary. This should help to keep the costs and timescale for the divorce to a minimum. It also means that the divorce will not come as a complete shock to the other party and, in turn, this should aid important discussions that may need to take place regarding the financial and/or children arrangements as it demonstrates your understanding that both of you will need to be fully involved in the process which you should try to resolve amicably. It is important to bear in mind that, in relation to negotiating a financial settlement or agreeing arrangements for children, it does not matter who applies for the divorce or what reason is used in the Petition to say that the marriage has broken down, as this in itself has no effect on how you divide up your finances or sort out the arrangements for the children. In order to start divorce proceedings, you will need to provide the Family Court with either your original marriage certificate or a certified copy (photocopies will not be accepted). If you do not have the original marriage certificate and you cannot get a copy of it, you will have to make a separate application, alongside the divorce application, to issue the Petition without it. If your marriage certificate is not in English, you will also need to provide an official certified translation of the marriage certificate. In some cases, there may be more than one fact in existence, but for the purpose of the Divorce Petition it is only necessary to rely on one fact to establish that your marriage has irretrievably broken down. In practice, even if you are certain that your spouse has committed adultery, it may be difficult to obtain an undefended divorce on this basis if your spouse is unwilling to provide a formal admission. In those circumstances it may be sensible to consider a behaviour divorce as an alternative as, if the Respondent wishes to defend such a divorce he or she will have to prepare and submit a formal response to the allegations, which is likely to be more difficult and expensive for them to do than simply denying that adultery has taken place. It is possible for the Respondent to deny allegations of unreasonable behaviour while still allowing the divorce to proceed on that basis. It is important to understand that whilst the divorce process will end your marriage, it will not automatically sort out what is to happen in respect of your financial and/or children arrangements. You will still need to resolve these matters, rather than leaving them open-ended, and we recommend that you should sort them out before the divorce is finalised. Alternatively, if you are going to postpone your divorce but still agree to separate, you should consider entering into a Separation Agreement with your spouse to deal with these matters. Either way, you should try to reach amicable agreements about the children, money and property. Before you start making any decisions, you should speak to a solicitor who specialises in family law to help you understand how best to deal with these matters, what the law is, what key areas need to be considered and what your options are. In terms of money and property, you should, at the very least, compile a full list of all the assets and debts (whether held in sole names or jointly with your spouse or another party), what income you each receive from all sources and what pension assets you both hold. In terms of the assets, you will need to include property (including land and buildings), bank and building society accounts, national savings accounts, shares, ISAs, all types investments, life insurance and endowment policies, cash, personal assets (cars, collections, pictures, jewellery and furniture for example), business interests and pensions. Whilst this is not an exhaustive list, it is a very good starting point. You will also need to consider mortgages on property owned, as well as any liabilities either of you have, such as credit and store cards, bank loans and hire purchase agreements for example. There may be tax consequences arising from your divorce or separation and you should obtain professional advice from an accountant or tax expert about such matters before making any final decisions on how to deal with the money and property issues. If you have children, you will need to agree where the children will live and what arrangements will be put in place for the children to spend time with both parents. You will also need to sort out the child maintenance arrangements. We recommend you visit the Child Maintenance Options website which has a helpful calculator to give you an indication of the amount of child maintenance that you could expect to pay or receive. Whether you are divorcing or separating, you need to think about how the issues addressed in this article can be resolved. There are lots of ways in which divorce, separation, financial and children matters can be sorted out. These include direct discussions, mediation, collaborative law, solicitor negotiation, arbitration and court proceedings. If the divorce is agreed, then you usually will not have to attend court. It is also possible to work out the financial and children matters without attending court and you should speak to a solicitor specialising in family law about the different ways such matters can be resolved, so that you can make an informed decision on what option is best for you and your family. When family issues arise it is often a very worrying and sensitive time, especially when children are involved. The financial and emotional effect of a separation or divorce can be significant and it is best to obtain professional and expert advice from a solicitor who specialises in family law as early on as possible. Even if the relationship breakdown is amicable, it is important you fully understand what is involved, what the law says and what options are available to you and the family when it comes to sorting out the financial and children arrangements. When you are separating or getting divorced, there are always lots of questions that need answering. We have covered only a few in this article. To find out more please get in touch with the Thompson Smith and Puxon Family and Divorce team on 01206 574431 or email info@tsplegal.com.